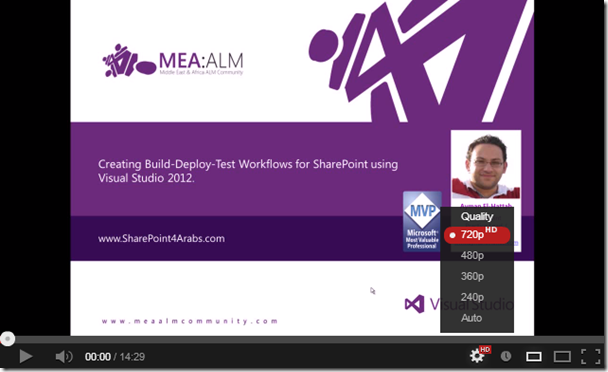 As mentioned in the previous video, you can create a build-deploy-test workflow using Visual Studio 2012 to deploy and test your SharePoint Applications when you run a build. 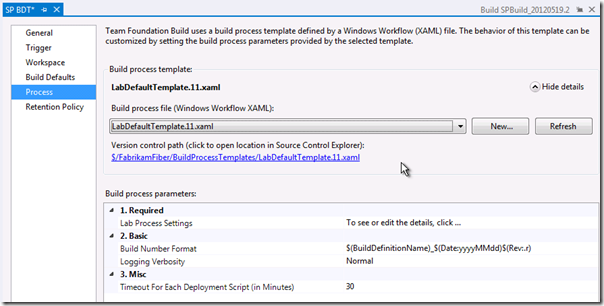 This lets you schedule and run the build, deployment, and testing of your SharePoint application with one build process. 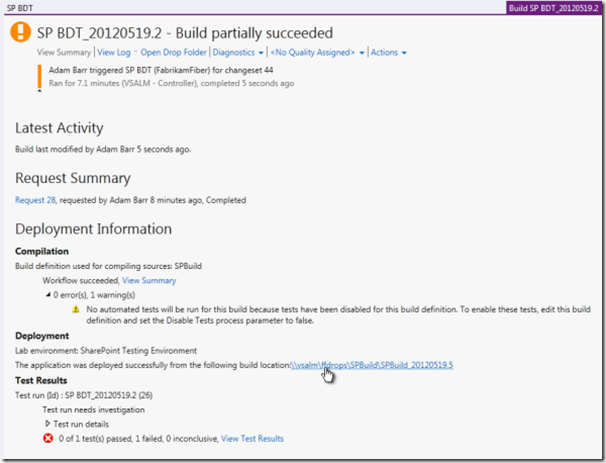 Build-deploy-test workflows work with Lab Management to deploy your applications to a lab environment and run tests on them as part of the build process. You can watch a detailed video for the whole process here. Please note that you might need to change the quality to 720 p (HD) as shown below for the best viewing experience.